Swann Galleries will be auctioning an extensive selection of original works by Maurice Sendak, along with works by Edward Gorey, Charles Addams, Al Hirschfeld, Beatrix Potter, Dr. Seuss and others on the afternoon of Jan 24, 2013. Swann’s auction of 20th Century Illustration Art and Books coincides with Bibliography Week in New York. 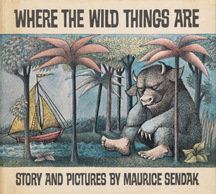 Of most interest to Sendak fans is the private collection of works written and/or illustrated by Maurice Sendak from the library of the late Reed Orenstein, bookseller and longtime Sendak collector. Swann is offering “most of Sendak’s important works in first edition, many signed, and several with small sketches and inscriptions. 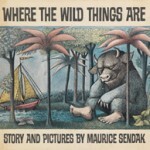 A “rare first edition of Sendak’s first book, Where the Wild Things Are, signed and inscribed with a drawing, New York, 1963″ and “a group of eight pencil sketches made by Maurice Sendak in preparation for the CBS animated TV specialist Maurice Sendak’s Really Rosie, circa 1975″ are included in the auction.